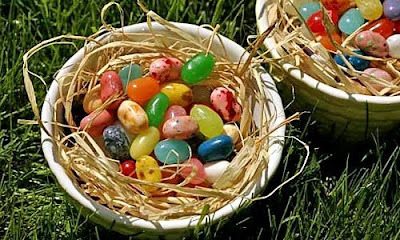 Please help yourself to a basket of Jelly Beans!!! hahaha, great joke! Lekker flauw, as we say in Holland. Happy Easter Barbara... but I have a problem... my arm and hand can not reach them... can you pass some of the speckled ones, please? blech. I hate jelly beans!! but happy easter!! I do celebrate Easter! 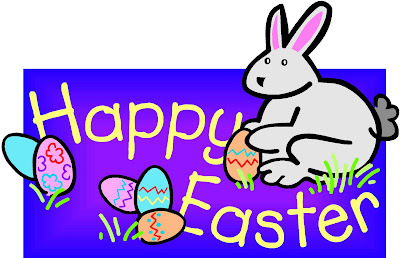 Happy Easter to you as well! Yum! Yum! We are a bunch of jelly bean addicts at my house. Thank you for the Happy Easter wishes, hope your day is lovely too. We are just being lazy and enjoying the last day before school restarts. mmmmmm me LOVe jelly beans! Hope u had a happy Easter Barb! Mmmmmm they look yummy! Who ate all the black ones? Waaaa! I hope your Easter was a good one!! I prefer the Jelly Belly flavored ones... is that what those are? If so, pass me the cotton candy and watermelon flavored ones... thanks!